I'm pleased to announce my theme for this upcoming school year! 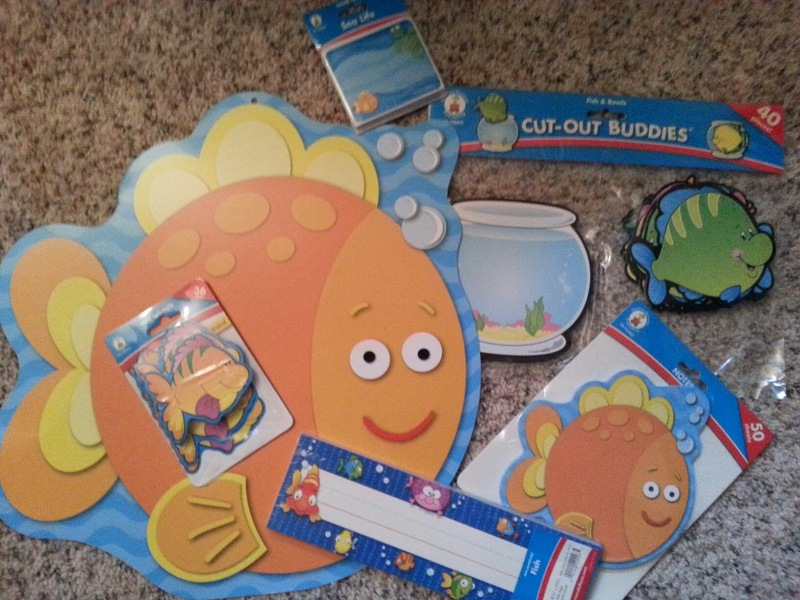 I found these adorable fish name tags, cut outs, notepads, and more at Carson-Dellosa. They have arrived in the mail and I'm ready to start laminating and preparing for the upcoming school year. My classroom won't be clean for a few more weeks but my gears are already grinding with all the new fish-themed activities and displays that I can make. Stay tuned for more details in regards to my back to school fish theme. Cute! This made me think of this children's book that I LOVE! The little boy wants a dog, but he has a fish instead. Super cute read aloud and written responses are always adorable to go with it. Looking forward to seeing you classroom pictures!